WATCH Bill Cosby Talks "Chiropractonography" on "The Tonight Show"
Bill Cosby returned to “The Tonight Show Starring Jimmy Fallon,” and thanked him for an unlikely reason. The last time Cosby took to the “Tonight” stage, Fallon jumped on the comedian’s back while he pretended to walk across a tight rope. “To be honest, I didn’t think you would come back,” said Fallon. But Cosby explained that their antics from his previous appearance was actually helpful. “Let me thank you," said Cosby. "Jim, when you jumped and I was still trying to walk, you and I didn’t know it but we were making an adjustment,” he explained. 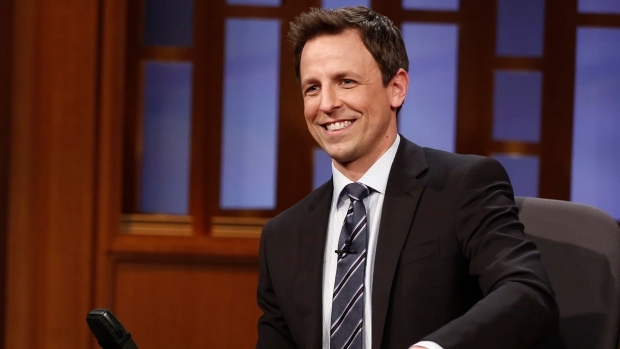 "The Cosby Show" star even stood up to show the audience his moves. "I knew it was good because when I jumped on your back, you know what I heard?" asked Fallon, who then took his cup of Sharpees and dropped them to make a crackling sound. When Cosby complimented Fallon on his “chiropractonography,” Fallon joked about not wanting to play him in Scrabble. 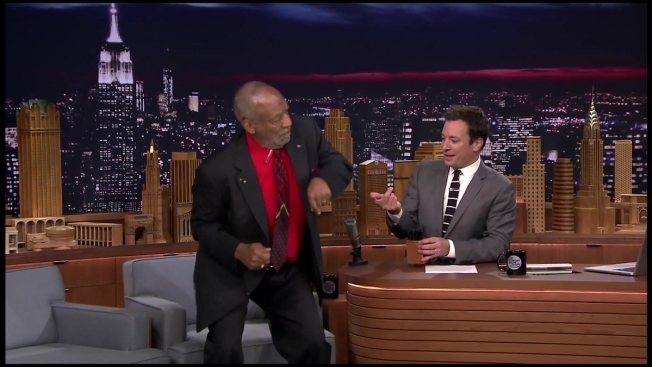 Throughout their conversation, Fallon couldn’t help but do impressions of Cosby. Check out Cosby's first "Tonight Show" appearance below. Click here if viewing on mobile.